Arctic Slope Telephone Association Cooperative (ASTAC) is a member-owned telephone utility Cooperative providing telecommunications services to the residents of the North Slope region of Alaska. The Cooperative’s designated service area is a roadless, remote arctic area of more than 90,000 square miles which is larger than 40 of the 50 states. Prior to having local phone service each village was served by only one pay phone. Residents stood in line, sometimes for hours in inclement weather, waiting their turn to use the pay phone. The Cooperative utility consists of more than 4,000 access lines served by nine central offices located in eight of the region’s traditional villages and at the petroleum industry exploration and production complex at Deadhorse-Prudhoe Bay. ASTAC currently employs approximately 74 employees. The Cooperative was brought into existence in 1977 when Arctic Slope residents determined that the continued development of their traditional communities; the business success of the Alaska Native Claims Settlement Act (ANCSA) corporations; the Arctic Slope Regional Corporation (ASRC) and the eight Village Corporations; and the delivery of public services by the North Slope Borough (NSB) home-rule municipality, were all dependent on the availability of, at least, basic telephone service. 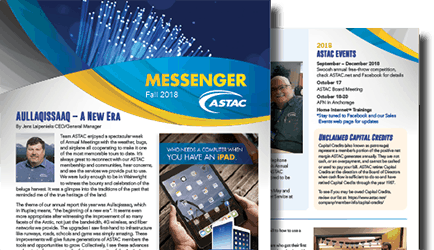 Construction started in 1979 and by 1981, ASTAC was providing digital switching in seven Inupiat Eskimo communities and the oilfields of Prudhoe Bay. In 2000, Utqiaġvik was added to our communities served with the purchase of GTE and have since spent millions of dollars to upgrade facilities there. Broadband Ethernet and Internet services, 4G wireless (UMTS HSPA+), LAN/WAN, local and long distance service. Operating a 700 MHz wireless network (secure licensed spectrum) available for nomadic data applications and extended coverage off the wired network. 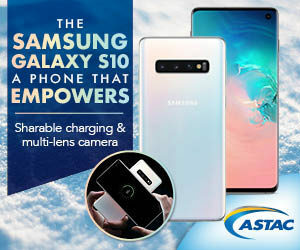 We are a full service wireless provider offering both fixed and mobile voice and data solutions, including equipment sales and service to the North Slope region of Alaska. As a Cooperative, ASTAC is managed, in part, by the voice of the people it serves – co-op members. Your voice is important, and is heard at every membership meeting. And because we are committed to serving our membership as our partners, we strive to serve each and every one of you with the respect, dignity and efficiency that you deserve – any time that you need us.